Glasstone is proud to announce its vacation rentals service! Everyone visiting the Central Florida area should have access to beautiful rental homes. From unique townhomes in resort-style communities to large, custom homes close to Disney, we have homes fit for every size and party. We offer high-quality service so you can enjoy Orlando/Kissimmee like never before. Below are some of the vacation home properties in the Orlando area we manage that are available for rental. Located in the heart of Disney World area, ChampionsGate is in the perfect location for families looking to experience the magic of Central Florida. This gated, resort community located in Osceola County is just a short drive from I-4 connecting residents to all Orlando has to offer. The Oasis is a state-of-the-art clubhouse featuring a full-service restaurant, a tiki bar, resort-style swimming pools, fitness center, theater, game room, cabanas, a lazy river, water slides and more, all access included! Compass Bay is located in Central Florida, just a short drive from all of the major tourist attractions, including Walt Disney World® Resort, SeaWorld®, Discovery Cove® and Universal Orlando® Resort. Compass Bay is also minutes away from the Orlando International Airport, golf courses, shopping, restaurants and more! In addition to its prime location, Compass Bay offers flexible townhome and floor plans suitable for every kind of vacationer: young couples, families, retirees and more. Lucaya Village is a resort-style condo community that attracts thousands of tourists every year due to its prime location, excellent service and quality. Lucaya has amenities such as a clubhouse, heated swimming pool, jacuzzi, fitness room, beautiful lakes and more. It’s a place for people like you, who enjoy what is best in Orlando. Paradise Palms features elegant resort vacation townhomes and villas, the perfect place to call home. Families can enjoy some of the very best entertainment in a full-service vacation resort environment, including concierge service, 24-hour manned security gate, 24-hour digital video surveillance security, high-speed internet with wireless Clubhouse and pool coverage and so much more. Storey Lake is Kissimmee’s newest resort-style community, located at the corner of State Road (SR535) – also known as Kissimmee-Vineland Road – and Osceola Parkway. This family-friendly community is close to all of the major attractions as well as premium outlets. Its philosophy is built on five pillars: community, nature, health, story and homes. The values behind these pillars inspired a memorable collection of lifestyle experiences and amenities that create engaging places and rituals for storytelling and story making throughout the community. The clubhouse features a state-of-the-art fitness center, sauna, meeting rooms, game room, internet cafe and a 50-seat movie theatre. Tennis, basketball and volleyball courts will round-out the amenities at this fabulous resort community. West Lucaya Village is a resort-style condo community, just seven minutes from Walt Disney World® Resort. Each vacation home comes fully furnished with upgrades such as 32′ LCD TVs, king mattresses in the master suites and more. When you aren’t out enjoying the attractions in Orlando, relax at the clubhouse by the large, island swimming pool or jacuzzi. The little ones will love to the play in the game room, while the adults appreciate the business center. Windsor at Westside is a Mediterranean-themed community in Kissimmee, Florida. Families of all ages appreciate the resort-style amenities, sundries shop and spacious vacation rentals in Windsor at Westside. When you’re not exploring Central Florida, kick back at the lazy river, bar and lounge or break a sweat at the fitness center or sports courts! 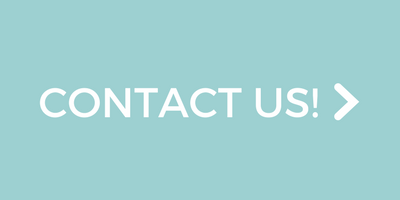 If you have any questions, please don’t hesitate to call us at 321-754-1707 or click the button below to send us a message.